The Canadian government just passed legislation that’s going to make it even more difficult to enter Canada with a DUI. The amendments increased the maximum sentence in Canada for impaired driving from 5 to 10 years. This effectively means that a DUI charge is no longer a minor offence and is now elevated to the category of “serious criminality”. This increase will affect border crossing eligibility for anyone entering Canada with an old DUI. Drinking and driving in Canada has been a Federal criminal offense since 1921. Driving impaired can be grounds for being found inadmissible when trying to cross the border into Canada. That said, a process call “deemed rehabilitation” could allow a person to be admissible despite having a single past DUI conviction. Deemed rehabilitation only applies to people who have one criminal offence that is punishable by a sentence of less than 10 years in Canada. For full details see the government website. 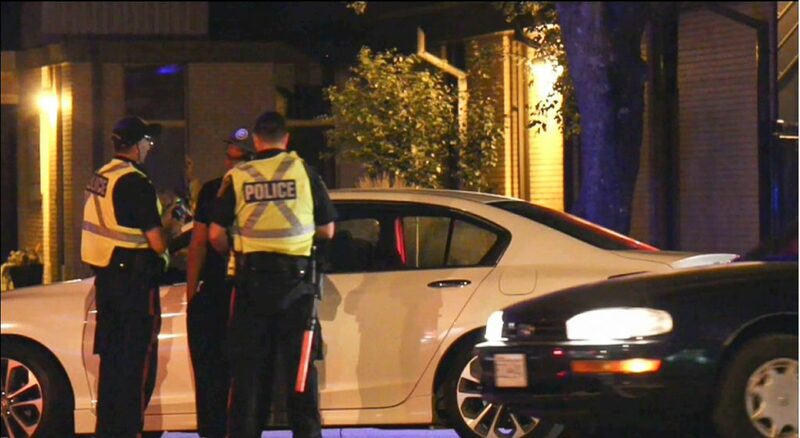 By elevating impaired driving offences to “serious criminality”, the amendments will remove the possibility of “deemed rehabilitation” allowing entry into Canada. Individuals who have previously assessed to be “deemed rehabilitated” and were allowed entry to Canada, may now be found inadmissible. Criminal code amendments make individuals with DUI offences inadmissible in 180 days from June 21st, 2018. If you will be inadmissible to Canada under the new amendments, you have roughly 6 months to apply for Temporary Resident Permit or Individual Rehabilitation before they come into effect. Once the amendments are active and the increase in sentencing for impaired driving is in force, it will likely become significantly more difficult to be approved for either of the two applications. Application fess set to increase 500% & approval expected to be more difficult. There is an additional incentive to apply quickly. The government fee for processing a rehabilitation request for an impaired driving charge is going to jump from $200 to $1000 when the new legislation comes into effect. Apply now for either a Temporary Resident Permit or Individual Rehabilitation request. To help you decide which is best for your situation, we offer free consultations to assess your case. Simply call us at (204) 488-6350 or 1-800-438-7020. This entry was posted in Articles, Canada Border Crossing and tagged border crossing, Canada, deemed rehabilitation, DUI, DUI entry, US-Canada Border. Bookmark the permalink. Wellll, I guess they can kiss their tourism industry goodbye. Too bad. Please be aware that it has never been legal to drive under the influence of Cannabis in Canada past or present. If you have any questions about overcoming this, please don’t hesitate to contact us. I had a single DUI 14 years ago (minor, no accident or actual driving offense) with no other criminal offenses and have been able to enter Canada with no issues for the past several years but I am confused about the new law. I do not know if I am still permitted to visit Canada because my offense and all sentencing was completed over 10 years ago and “deemed rehabilitated” or if I will now be denied entry forever? Everything I try to read about it is pretty confusing so I can’t really find a straight answer. I contacted someone several months ago about it and they advised I wait until after the new law went into effect before taking any additional action because there was still a lot of discussion going on but now that the new law is in effect I can’t really find anything definitive about how this would affect someone in my situation. It is indeed very confusing right now, if you’d like to discuss your situation in detail please contact my office at (204) 488-6350 and we can talk specifically about your situation. My husband got a DUI 32 years ago and that was his only offense … With this new law will he not be able to go to Canada for our son’s wedding? Those with a DUI conviction prior to the passing of this new legislation (December 18, 2018), will continue to be assessed under the old legislation. Meaning, those with one DUI conviction, and no other arrests/charges what so ever, will be Deemed Rehabilitated once 10 years passed from the completion of their sentencing requirements. but having paid all the fines and 3 years having past, I was looking forward to eating at Happy Jacks again, seeing the nicer side of the falls with my son and spending some quality time and cash over there again. I’ll still have to dodge all the crazy drivers with Ontario plates who come over to our side of the falls to shop though. Really, you guys might not be drunk or stoned, but you are terrible drivers. If you are ever interested in overcoming this, please feel free to contact my office at (204) 488-6350.